A man has been charged with the murder of Sunderland shop worker Joan Hoggett. 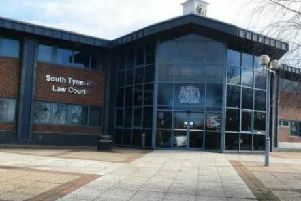 Ethan Mountain, 19, of Heaton Gardens, South Shields, has been charged with murder and will appear at Newcastle Crown Court tomorrow. Floral tributes left outside of the One Stop shop, in Sea Road, Fulwell, where Joan Hoggett worked. Northumbria Police were called to the One Stop shop, in Sea Road, Sunderland, shortly after 10.40pm on Wednesday night where they found 62-year-old Joan suffering from serious injuries, consistent with a stabbing. Joan, of Grindon, Sunderland, was taken to hospital but sadly later died. Floral tributes have been left outside the shop, which remains closed behind a police cordon. Superintendent Paul Milner, of Northumbria Police, said: "This is a really tragic incident which we recognise has had a significant impact on the local community. "A 19-year-old man has today been charged with murder and will appear before the courts. "Our thoughts go out to Joan’s family at this terribly difficult time. We have specialist officers on hand to offer them any support they may need. "My message to the public is one of reassurance. This has been an isolated incident and there is no wider threat to the community. "I’d like to thank the public for their patience and cooperation since the incident, and a lot of people have come forward to help police with the ongoing investigation. "Anybody with any concerns in the local area is advised to speak to a nearby officer. A large police presence will remain in the area to offer reassurance throughout the weekend." Officers were also at Fulwell Library today between 3pm and 4.30pm where they will be on hand to speak to any local residents with concerns. Drop-in meetings will also take place at the library on Monday, Wednesday and Friday next week. Police were continuing their search of Roker Park today, with a cordon still in place. However, Cornthwaite Park, in Whitburn, which had been sealed off is now open.